Miratak® is a unique and cost effective waterproofing membrane comprised of self-adhering rubberized asphalt and durable polypropylene nonwoven fabric. A peel-n-stick release paper covers the self-adhesive mastic, and is removed prior to installation. Miratak® and Miratak® 700 are designed specifically as a moisture barrier for application on existing roadways, airport runways and taxiways to prevent water permeation or penetration through pavement surfaces and the subsequent damage that excess moisture causes in the roadway subbase. 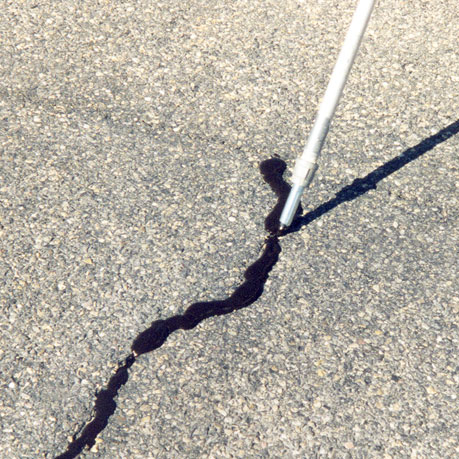 As a pavement ages, imperfections appear, joints become prominent, and cracks occur. Miratak® and Miratak® 700 are engineered, impervious membranes, adding greatly to the durability and extending the life cycle of a pavement system by reducing water percolation and moisture penetration throughout the pavement system into the subbase.